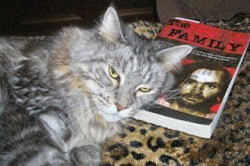 The Tate-LaBianca Homicide Research Blog: "Tex" Watson insists that he has already told the truth... and furthermore, that he has already revealed everything he knows (within the pages of his book). He says, the recently-released "TEX TAPES" will prove it! "Tex" Watson insists that he has already told the truth... and furthermore, that he has already revealed everything he knows (within the pages of his book). He says, the recently-released "TEX TAPES" will prove it! Tex also states that many websites refuse to accept the truth... are still living in the 60's... forming conspiracy theories... creating falsehoods... and raising-up fanatical groups. Sounds like Tex is referring to the blog world... no? "Others are angry at me because to them, I must know more about the murderers in the 60’s. Instead of resting in the truth and living in the present, they choose to live in the 60’s. So much so, they form conceptual views and beliefs, then become fanatical, raising up groups, forming conspiracy theories and creating falsehoods through websites, Facebook pages and tweets. Life is too precious to waste on views that are not sound. When you read my book Will You Die For Me?, you’ll see how irresponsible I was with my views of life. If you read the book carefully, you’ll see that I’ve shared absolute truth and all the facts I know [as confirmed by THE TAPES released from the bankruptcy court]. In the 60’s, I made one bad choice after another. My friends tried to tell me that I needed help, but I was too prideful to listen." I personally think Tex is telling the truth in his book. I think Charlie told Tex to go to the house "where Melcher used to live", kill everybody there, take their money, and keep going house to house until you get $600. I think Charlie also told the girls to "go with Tex and do what Tex says". It's the only theory that makes any sense to me. I don't think the killers knew the victims. I could be wrong, but I doubt that there is any info on those tapes to incriminate the family for additional murders. Taking Tex at his word - a shakey bet if there ever was one. But still, possible. I forget why LAPD decided to go after the Tex Tapes. Was it based on a tip of some kind that there was more info there? If the LAPD is looking for real information about TLB, why not subpoena and question someone like Robert H. who has been openly proclaiming for years that Charlie told him "the truth" about TLB but he has to wait till Manson's death to reveal it. If I were in Debra's shoes or one of the other kin of the victims I would be looking at ways to get some of these folk who claim to know more or would seem to know more (Pittman) under the lights before all the players are gone. Believing Tex? Sympathy for the devil? Not an easy task. I can't recall seeing Mr Diligaf around lately. He is the best on the law by far. I was just wondering if Hendrickson really does possess "the truth" about TLB straight from Charlie's mouth if he might not be vulnerable in some 'obstruction of justice' sort of way, as it relates to a civil suit of course at this stage. sorry LS, that must have been the part where I was daydreamin about nothing. and being an inbred I honestly don't know the copy and paste thing. feel free to just remove the comment, I don't know how to do that either. maybe if I stopped daydreamin so much I would learn these things. but being zonked on morphine I have no choice but to day dream away. sorry, i have an Irish compulsion to clarify - not zonked by choice, damn stuff makes me constipated. If there is on thing in life I hate it's being plugged up. Nurse, nurse. I love me some nurses. My main one here could be Mary Brunner's sister. Same goofy/sad smile. Leary are you in the hospital? I hope you're okay. You're in the hospital on morphine? Jeez... that doesn't sound too good. I hope you're alright Brother! 1.) Katie, I agree ( as i most always do ) with your take. 2.) Leary, Ive been in the hosp. on Morhine drip & I feel like I can relate. Pray that it works out for you & much love to you. 3.) under the circumstances reverse the order of 1 & 2. Leary, I do recall you have battled cancer so that is the priority here. Q: Did Tex tell you why you four were going to Terry Melcher's former residence? A: To get all their money and kill whoever was there. The problem I have with the robbery motive is that the killers left behind $80 that was in Sebring's wallet and $18 sitting on one of the bedrooms nightstands. Author, Tom O'Neill has been researching the case for many years with the intention of writing a book. O'Neill interviewed Bill Boyd in 2008. O'Neill's taped interview with Boyd was the source of information that the LAPD used in issuing the warrant to obtain the Tex Tapes. That warrant specifically named three cases the police were interested in, Karl Stubbs, Fillipo Tennerelli and an unnamed "outlaw biker". Of course, Tex doesn't implicate himself. Whatever the outcome, the information is still coming out of the mouth of Tex Watson. Leary if they're giving you morphine it just means they like you. Tex's book does conveniently gloss over his part in Shea's murder, but then he does reveal that he killed Tate. I realise he was a bit handy back in 1969, but for the past 43 years he hasn't attempted to kill anyone. If anything he has made a life for himself as he is best able. I expect all of those convicted are weary of regular interest legal or otherwise into the events in their lives over such a short period of time four decades ago. The Manson case covers so many points of interest in popular culture, as well as so many players involved, combined with the ubiquitous nature of the internet, I don't think people will leave it alone. (Consider the continuing interest in the Zodiac killer, and that was just one guy who wrote a handful of coded letters). One hypothetical reason for the cash (and small amounts of drugs) left behind... they might have just been insignificant amounts compared to what they really made off with, or sought to make off with. So far, Watson has yet to be proven wrong in his most recent assertions, I suppose it's likely he's telling the truth about these tapes. tanks all for well wishes, sweet stuff. i sure wish morphine came in flavors. it comes in colors, but I miss flavor. thnks Jerry Jeff for clarity. Man, I'd give anything to be driving in the Texas hill country south of Austin in a convertible with Jerry Jeff playin and sippin on a Lone Star beer. Does anyone have any concrete info on Tex's life now? I wonder if his kids visit him regularly. And does his reference to the "overly speculative" mean he had access to read the blogs? I would think not. Welcome to the blog Blipcrotch. there are many out there who think Tex is still just a psychotic maniacal killer who is just eveil through and through. But in his defense, he once had the perfect opportunity to kill Kathie Lee Gifford, but didn't. I am not sure if I myself could have exercised as much self-control. Bobby- glad you liked- hope you get as much out of them as I did.. I normally don't let it fool me, but this time I just might. I don't believe a word that the 1960's Tex/LULU/Katie had to say. I Feel differently about the three of them today. These are clean and sober old people who pissed away there lives and realize they have been had. I totally believe Charlie orchestrated the whole thing- but I am still open as to why. maybe they weren't aware of the real motive some ask? And I actually agree with Tex about the rest. I do believe that there are may people who have too much invested in this to just let it go like that. I have personally read many people put forth some of the most ridiculous ideas and conspiracies, which I know from outside/unrelated readings are not true- and others promise the truth at some time in the future when people die.Two times from two sources we have been promised this. there will still be plenty to talk about even if we already know, or never find out, why this happened. It will still be the strangest case I have ever come across for many reasons. Personally- I don't need to be any more shocking than it already is- if it isn't. I am learning that a lot of us want different things. There is definantly a tendency today towards the manipulation of facts in historical Matters. For instance I wouldn't waste my time reading a modern history on the Civil War due to PC. The JFK assassination is rife with wild stories. Nobody's mentioned the review/interview yesterday in USA Today of the new Manson book writer. Jeff something. My sense is that the book has more comprehensive insight into Charlie and the times than most of the other TLB books, but that is does not have any fireworks. I am fascinated to see how sales will be. Tex Watson is a scam artist. He is following Jesus like he followed Manson. Does anyone else see the connection? Nothing he will ever do, ever say, or ever convert to will take away from the fact that he butchered 7 human beings - and possibly more. Welcome to the blog Donna. "SAN FRANCISCO (AP) — The U.S. Supreme Court on Friday paved the way for the early release of nearly 10,000 California inmates by year's end despite warnings by Gov. Jerry Brown and other state officials that a public safety crisis looms if they're forced to open the prison gates." This is too weird. If the Tex Tapes were only gong to serve to confirm what he had said before then why did Ol Tex fight to have them released? And pardon me if I find words coming out of Tex's piehole to be less than convincing absent some form of verification AND motivation to tell the truth. Motivation such as back in the day when he was trying to make a deal to keep his skin. He knew then that he would be doing time, the question then was between how much time and the death penalty. I don't see ol Tex being the type to take one for the team. He went with Helter Skelter as that was probably the best cards he could play at the time. As for Tex today, of course he wants to keep the Helter Skelter mantra going as it plays into his role today as the Born Again Christian. Former zombie/mind controlled right hand to the Devil (Charlie) and now serving Jesus...anyone doubt that if he got out on parole that Tex wouldn't find himself on the 700 Club or Evangelical TV Show circuit? And the 'why' part may be a weave of more than one element. It wouldn't surprise me if Buster the Wonderdog wasn't behind this Tex Tape hoopla. Tex's says study his book, I have for years. What I would like to know is when he was at collage where did he get the money to buy a new car and own a boat ? Also, when he first moved out to LA, he bought himself a 59 thunderbird and rented an apartment, where did the money come from for this ? He worked in a wig shop in 67, when he moved in with "luella" at the end of 68 he says he started getting his hair styled by a friend from his wig days, Jay ? He changed the names of his two friends David and Jay Neale to Rich and Willis Carson in his book, why ? He changed the name of Rosina Konner to luella in his book, again why ? His fingerprint on the front door, it was in such a position that he had to be in the hall behind the door to leave it. When he climbed in the window and went to open the front door it was closed so he would have used the handle, next time he's at the front door he is beating and stabbing Voy and his hands where covered in blood yet it wasn't a bloody print, so did he go out that door between these two times ? Or was he there earlier in the day and left it ? If he had the gun in his right hand he couldn't have left the print. Welcome to the blog Jimmy. Donna, Johnny, Jimmy - RIGHT ON! Good to see you Johnny! Yes... I hope Leary is doing well! I'm a great believer in it was Tex that set up Cielo not Charlie. At his trial Tex says about Charlie calling him over beside a car, telling him to go to Melcher's old house and kill everyone as gruesome as he could, he also said something about movie stars living there. Unfortunately no one else was around so we only have Watson's word for this. Now how did Charlie know movie stars lived there ? Maybe he did visit the house in March and see Sharon but I have never read anywhere about Charlie going to the cinema to see The fearless vampire killers or The wrecking crew or Valley of the dolls, so how would he know movie stars lived there ? Unless it was Tex that knew a movie star lived there and as usual he makes it out to be Charlie that knows this. As St C says, Tex scares me more than Manson. 5 minutes after he slaughtered 5 people look how he describes his run in with Rudy ! I put on my best Texan drawl and said gee we're only getting a drink of water. 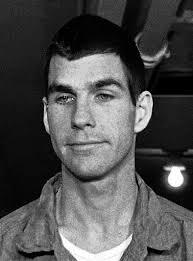 Vince didn't need to prove motive but he had too to convict Manson, he had nothing else on him. Helter skelter is Vince's motive. Tex is behind Cielo. It was his call. Tex was too far gone in the head to order Cielo. Cielo is Charlie all the way. Tex just did too good of a job but heck, he was a 6'2" athlete with a bayonette. Glad to see you here. I think you will like this blog. Leary, I hope you feel better. Mr P!, we will continue to agree to disagree. and a 'hey' to all the rest here on this thread. I believe that at least one reason tex doesn't the tapes out is beause they will portray tex as a snitch. tex does hard time these days (now that he's not at the men's colony) and doesn't want it to get any harder. I know that when tex was transferred to the prison he is at now, he got the snot beat out of him several times, he's still seen as a baby killer, mad man who killed a pregnant woman who could have gave birth the same day. Thanks for your input Beauders! Can anyone else remember reading somewhere that when Tex was taken into custody he cracked up with laughter when informed that they had Manson down as the TLB ringleader? I remember reading that when he heard the trial was going ahead without him and Charlie as the ringleader he started laughing and said "f#*k man, way to go Charlie ". I think if Tex had any information that would incriminate Charlie and not himself he would have shared that to help himself get parole. I think that Tex would have kept anything that incriminates himself to himself. Tex is too manipulative to be trusted. Welcome to the blog Gina. Adam, yes I remember reading that Tex doubled over in laughter when he heard that and afterwards began his trance like state in front of cameras. Tex is a very manipulative person. People need to see this man as he really is. As Gina said, he is a very manipulative person, once he heard that news he plays the drug crazed Manson killing zombie. Up until then he was describe as same old Tex, fun to be with. protective housing doesn't mean the inmate is always protected. for example the current pictures of manson, if he got those bruises from falling out of his bed, then i'm santa claus.